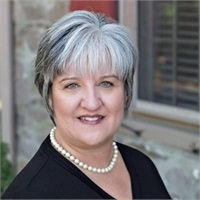 Donna A. Cosgrove | Anthony Petsis & Associates, Inc.
Donna has been with our firm since 1995. She handles the new business and, as Operations Director, works closely with management to direct and execute the objectives and goals of our organization. Donna currently holds her Series 6 & 63 licenses. She maintains her insurance license in PA for life, accident, health and long term care. Outside of the office, Donna loves to travel.